Over recent decades South Korea’s vibrant and distinctive populist culture has spread extensively throughout the world. 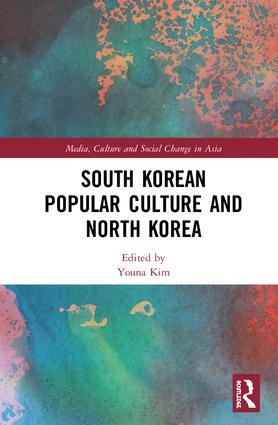 This book explores how this "Korean wave" has also made an impact in North Korea. The book reveals that although South Korean media have to be consumed underground and unofficially in North Korea, they are widely watched and listened to. The book examines the ways in which this is leading to popular yearning in North Korea for migration, defecting to the South or for people to just become more like South Koreans. Overall, the book demonstrates that the soft power of the Korean wave is having an undermining impact on the hard, constraining cultural climate of North Korea. Youna Kim is Professor of Global Communications at the American University of Paris, France, joined from the London School of Economics and Political Science where she had taught since 2004, after completing her PhD at the University of London, Goldsmiths College. Her books are Women, Television and Everyday Life in Korea: Journeys of Hope (Routledge, 2005); Media Consumption and Everyday Life in Asia (Routledge, 2008); Transnational Migration, Media and Identity of Asian Women: Diasporic Daughters (Routledge, 2011); Women and the Media in Asia: The Precarious Self (Palgrave Macmillan, 2012); The Korean Wave: Korean Media Go Global (Routledge, 2013); Routledge Handbook of Korean Culture and Society (Routledge, 2016); Childcare Workers, Global Migration and Digital Media (Routledge, 2017).